This Thursday, there is cause for celebration...celebration times two in fact! Secondly, today marks the 2 year anniversary of Andrew being in remission. HOORAY!! He was declared "Cancer Free" two years ago today and we are all so grateful for God's healing power. He will go in next month for another round of scans and tests and we continue to pray for no signs of cancer. 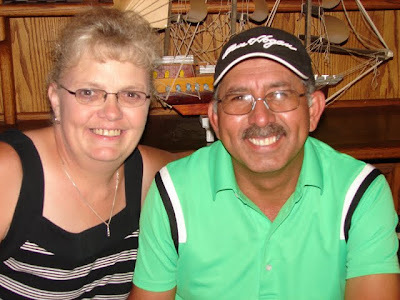 Andrew's cancer, from start to finish, was quite an ordeal so we are thankful for his health and new life. We hope you find something to celebrate today - big or small, there is ALWAYS something! What a FANTASTIC weekend we had! Aside from wanting to stay in Fredericksburg longer, the weekend could not have been any better. It was such a great little getaway for us...we had a wonderful time. 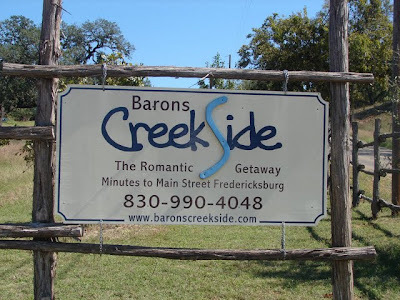 We got into Fredericksburg on Friday night and we left there about 9am on Monday. The place we stayed was amazing - so quaint and beautful. 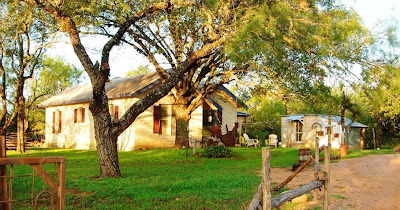 It was a little cluster of cabins and houses nestled in a gorgeous, woodsy area in the hill country. The scenery and weather were perfect. The particular house we stayed in was called the "Mesquite Farm House". The man that owns the property (Daniel) is from Switzerland and it used to be his house. The inside of the house had so many neat touches that we really enjoyed and there were two huge glass back doors that looked out onto the deck, fire pit, rocking chairs and the great outdoors. What a sight...we even saw a few deer running across the area in the mornings. This is where John and I will be staying this weekend. It's the "Mesquite Farm House" in Fredericksburg, Texas. Oh how we love Fredericksburg! We went there for part of our honeymoon and we have been there every year since for either an overnight stay or for the weekend. It's such a wonderful little town that we enjoy so much. We are driving down on Friday afternoon and coming home on Monday afternoon. Calvin will be coming along as well - yippee! We haven't really planned a lot for this trip...we just want to enjoy the easy pace. We want to do some shopping in the downtown area (great stores), eat, watch football, enjoy the great outdoors, play games and RELAX! 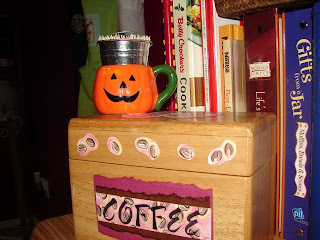 We hope to sleep in and have leisurely days over the weekend. With the cabin having a little kitchen area, we plan to do some cooking there...but we will be enjoying the local bakery two of the mornings - DELISH! There's a fire pit in the back so we are going to take the stuff for Smores - mmmm. Yes - I have CRAZY LOVE for John - everyone knows that! 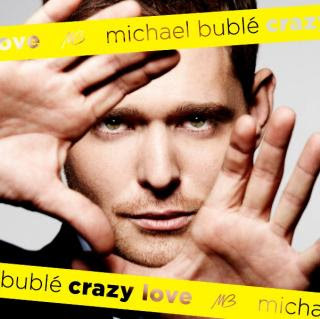 But this time I'm talking about Michael Buble's newest CD - "Crazy Love". I don't actually own the CD yet, but I listened to it online this morning at work and it is CRAZY GOOD. Although I have to say that I have NEVER been disappointed with a Buble CD. I absolutely love him, his original music and his covers of old songs. If you aren't familiar with him and his music - it's in the jazz genre...he has a Frank Sinatra/Harry Connick Jr. sound. It's wonderful! He has a good mix of upbeat, dance songs and slow, romantic songs . I love this kind of music and have many cds by artists such as him. 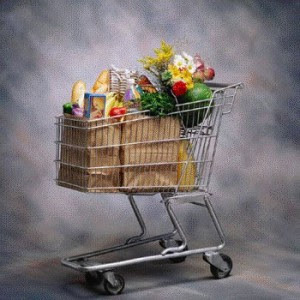 Secret to Happiness - Grocery Shopping?? If you are familar with the TODAY show, you might know that occasionally Willard Scott will highlight people or couples who are over 100 years old and/or have been married for several decades. Last week, my Mom told me about a couple he showed who had been married for 80 years. Wow, can you imagine? That's incredible! (Only 73 more years to go for us - hah) Willard Scott said when asked, the couple said their secret to a happy marriage was buying groceries together. The reason my Mom shared this with me was that she said it made her think of John and I! We are this couple in some regard because we buy groceries together all the time...well 99% of the time. Friday night is grocery night in the Ussery house. It may sound boring to some, but we make it fun and exciting...something we look forward to each Friday evening. It's our grocery store date! Unless we are sick, out of town or have something specific to go to on a Friday night - we don't miss grocery night.